Hey! I love D&D and I’m picky about MMORPGs, and your post put into words what’s been on my mind lately. Great read! 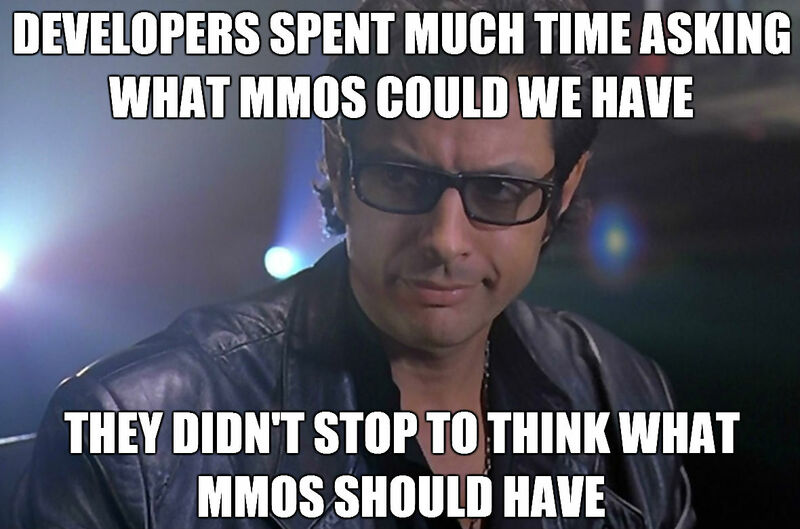 A question- In your opinion, which MMORPGs have the most D&D in them? Which could really benefit from specific portions of your post? 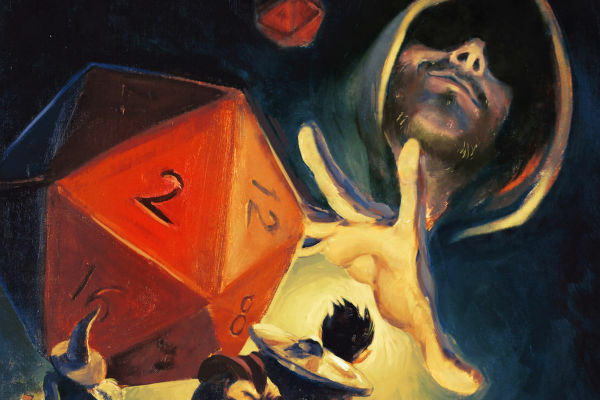 D&D Online lives up to the name well enough and is by far the best D&D experience out there. It’s tough to play without a group or guild though due to its age. Even though I like Neverwinter, it’s not really a great D&D experience IMO. LOTRO could perhaps benefit from even more roleplaying elements – RP elements like motivations could be added to the traits/virtues virtue system. 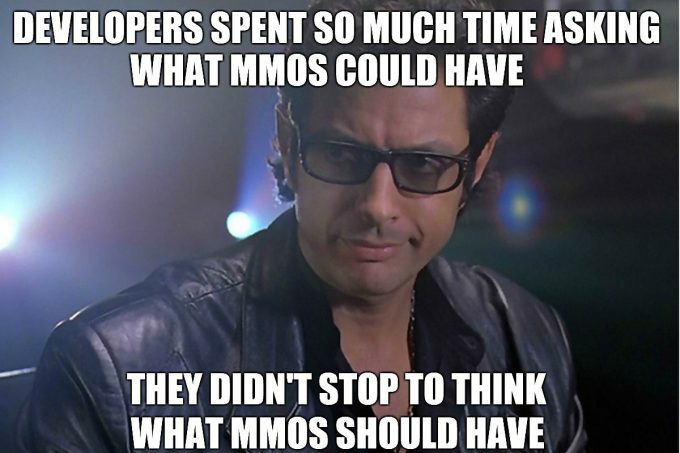 I think the community would be receptive to GM run events too. 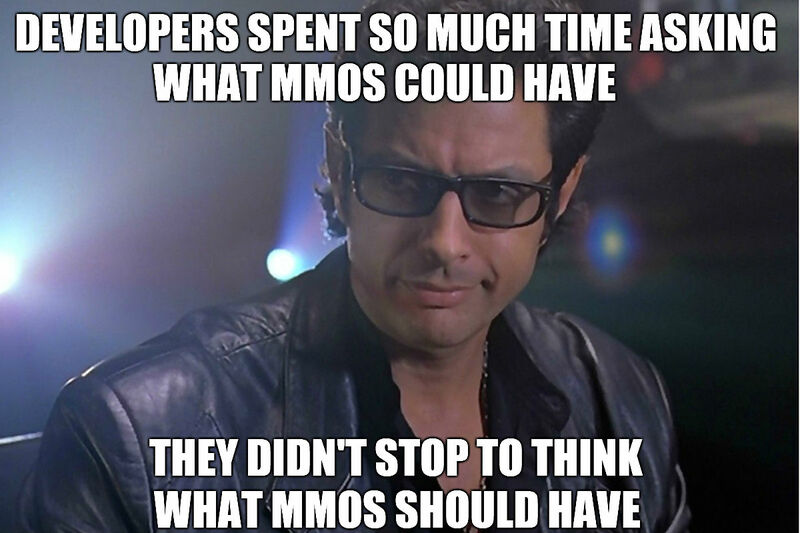 Otherwise, it’s hard to imagine many other MMOs actually being able to retrofit these into the game. Elements such as fewer levels, the quadrinity, smaller numbers, and procedural content are baked into core design decisions. Out of the upcoming MMORPGs, Pantheon is the only one that looks like a potentially good fit for D&D players…but as with all MMOs, we’ll see.